As an entrepreneur you are looking for every edge to enhance your workflow and automate your process as much as possible. This requirement becomes even more prevalent when you work a traditional 9-5 job and need every slice of time to count. Things become even more critical when your business is up and running and you're trying to grow it and increase profits. Let's face it, we only have small margins of time to work on our businesses and anything we can do to increase the level of productivity is not a luxury but a need. One tool that does this for me and can definitely do the same for you is Dragons Naturally Speaking. Since using Dragon Naturally Speaking I have seen my productivity in regards to any type of typing activity increase dramatically. I'm able to answer e-mails faster, speak my blogs and increase my content generation time significantly. Just like with any software there is a learning curve, yet it's small. In fact right out-of-the-box Dragon is amazingly accurate. If you spend any time letting it understand you and running through some of its training techniques, its accuracy becomes quite amazing. In this blog post I'll show you some of my productivity insights with Dragon and how I'm using it to increase my workflow and productivity. I've only owned the software for about a few months and I'm amazed at how it is actually changed my life both functionally and physically (as I'll mention a little later on). When I first ordered Dragon I spent a good six hours training, studying and learning how to leverage the software. For me it's been the best six hours ever invested in any piece of software. As I continue to practice, train and learn the commands in Dragon my productivity level has increased by two fold. I know this because as I look back in my task lists; I have been able to achieve more in the last two months than I did the previous four months and no outside influences have changed during the duration of these timelines. As a full-time programmer and part time blogger I spend tons of time in front of the computer. Just ask my wife, she can definitely vouch for that. Being in front of the computer 10-12 hours per day can lead to repetitive stress injuries and over the past few years I've struggled with tendinitis and joint pain. With Dragon I actually find myself moving my upper body much more. Studies have shown that repetitive strain injuries are caused from the lack of large body movements and the increase of micro muscle movements such as only moving your fingers to type. Since using Dragon, I have been able to keep my same pace with much less muscle and joint pain. When I sit back and dictate on longer pieces of content, I pull my arms away from the computer where they are usually stuck in a tense position. The act of simply typing significantly less has helped a ton. As I continue to get better with commanding Dragon, I find simple tasks such as doing a web search a breeze for the software. All I say is “search the web for xyz” and there I have my browser open with the search results. Dragon is not 100% hands off if you plan to also use it to increase your level of productivity. For true levels of high productivity Dragon really just becomes another input mechanism that helps you to create and respond to your computer much faster. So, “yes” I do use my arms less, but the tool in its truest form is just another accelerator of allowing me to ingest my thoughts and input into the computer much faster. While I can't really use the software at work, I do use it when I telecommute via a remote desktop session (RDP). I use Dragon while telecommuting for about 50% of any typing that I do over a few sentences. Recently I have been finding myself using it in just single sentences, mainly because it's just so darn easy. Using it to write software is not really reasonable, however I have turned it on from time to time to dictate comments that I place into my programs. The software doesn't work the best if you're in close proximity to other people, mainly because those people don't really want to hear you talking to your computer. Of course, it depends on who those people are. When I work at home I feel comfortable talking to my computer even when families around. Of course it was a little bit odd at first, but I got used to it and they have also. As far as using this in a corporate office environment, I'm not 100% sure how that would work unless you have your own office. I know my current peers would probably not want to listen to me talk to my computer. So currently, there are some limitations based on your social setting but I'm sure as the software continues to evolve the engineers over at Nuance might be able to find a way to create some kind of whisper technology. I would use that in a heartbeat! I'm sure if you had the right corporate environment such as a publishing company or marketing company, then you might be able to get by using it in close proximity; however, it would have to be something that is integrated into the corporate culture. When you first get started with Dragon you won't be commanding every aspect of your computer without the keyboard. It takes some time to get adjusted to the software and understand its capabilities. The one thing that you will be doing is dictating right out-of-the-box. After you go through a 5 minute wizard to create your basic user profile, you can enter the dictation mode and start cranking away in any type of document. After you have done the basic training session. Fire up a word processor and play around for a few minutes. 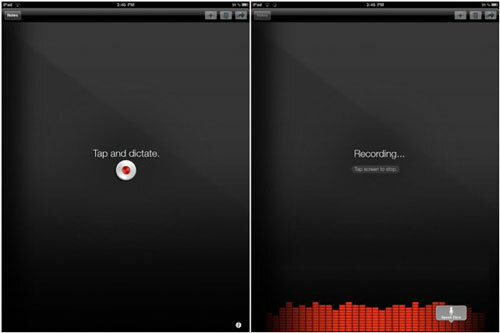 While the microphone is enabled you can say “What can I say” and a help window will open with what you can say. Learning how to use it with your e-mail system is a good first step. It's also important to note that you will be using the keyboard alongside the software as a parallel process, especially at first. With that being said, once you learn the combinations you'll slowly see yourself moving away from the keyboard on certain tasks. If you have a lot of information on your mind already, you may want to just open up your favorite word processor and start talking. Usually when you get on a roll, you can really crank through what is on your mind. Many times I'll just start talking and saying the things I need to say and then I'll go back and edit what needs to be edited. This way you can leverage the responsiveness of Dragon; however, dictation doesn't have to be just one rolling set of words, one after the other. Many times I use Dragon within small tasks such as creating lists or structuring a simple, “how to… .” The key here is to learn to use it as much as possible and be patient while training the software and yourself. If you want to get a good handle on how to really use Dragon I would suggest you open up the help system and spend some time reading through it. A good 1-2 hours invested in reading the help will really help you to understand Dragons capabilities and how you can interact with the software. As with any process that you work on your business, the key to staying organized and getting work done is the art of batch processing. Keeping things in a group of similar tasks allows you to stay focused and on track. When I check my e-mails at specific times during the day, and I plan to pass through each of the e-mails. This combination of work becomes extremely powerful when you have a tool Dragon by literally talking to each e-mail and working through your current active inbox, you can answer and reply to e-mails at an astonishing rate. Blogging is really a combination of dictation and e-mailing built-in to one. When I say e-mail I'm really referring to answering comments or discussions on a post thread. If you're using a blogging system such as WordPress to manage your comments, then you can move through this task as equally as fast as your e-mail and the same batch processing applies. Since Dragon has done so much for me while at the computer, I started to think how else I could tap into speech-based technology in say, my wifes business. Which is professional on-location photography. On-location photographers have always struggled with proofing images with the clients in the field. However with the introduction of smart tablets like Apples iPad you can easily move your proofing session to the field and it has never been easier. Simply purchase an Eye-Fi card such as the Eye-Fi ProX 2 and transfer the pictures from your camera directly to the iPad. Now clients have the ability to proof their pictures on-location. That's pretty cool! So how can you quickly and effectively take notes of your session without having to try and type it on an iPad device. If you have used an iPad at all, you know that typing on an iPad device while standing requires you to hold it with one hand and peck at the keyboard with the other. This is not really that effective, even if you have learned how to speed peck. This is where Dragon comes in. Dragon has a FREE application for the iPad. What does it let you do? Well, pretty much the same thing you do at the computer. Fire up Dragon and start talking; now you don't have to worry about trying to poke around on the keyboard. This application is extremely powerful for on-location dictating. All we have to do is create a list of your session notes in Dragon, then with the click a button save or e-mail those notes. It doesn't get much easier or better than this!! Really great, helpful articles and videos! Quick question for you, what microphone do you use when you’re using Dragon? Nothing fancy just a Dynex desktop microphone. It works really well! 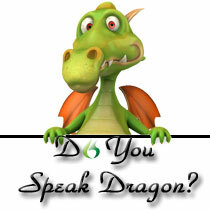 I have been using Dragon NaturallySpeaking since 2009. Every single time they come out with an update. I update the software. It seems like every single time they come up with an update It gets better and better. For instance, I am using the autopunctuation right now and not speaking in a very fluid manner, however it is still pretty darn accurate when it comes to how the punctuation should be formatted. This is awesome! I’ve never heard of anything like this! Great stuff! This is an awesome post. I was considering purchasing Dragon software but didn’t know all the ways it might be helpful to me. This post really does a good post explaining it to me. I just cant decide on which version of Dragon to go for!